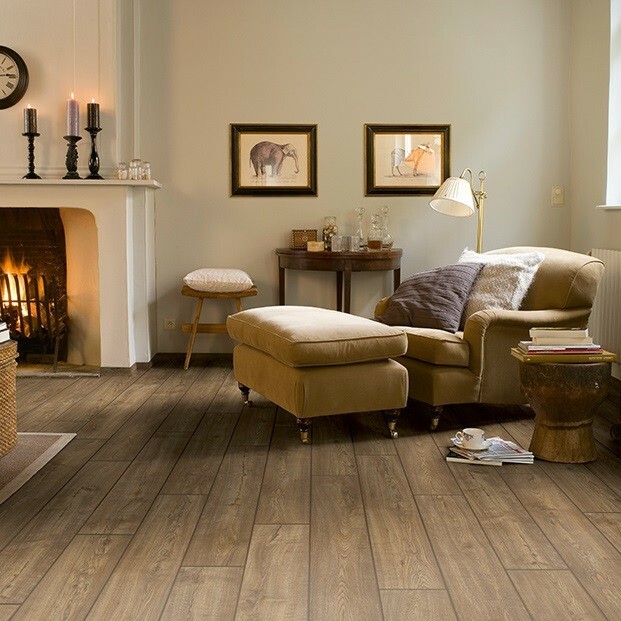 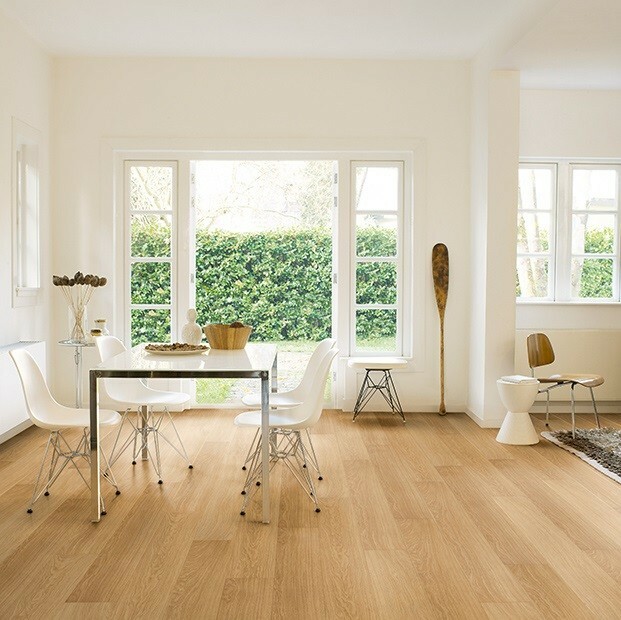 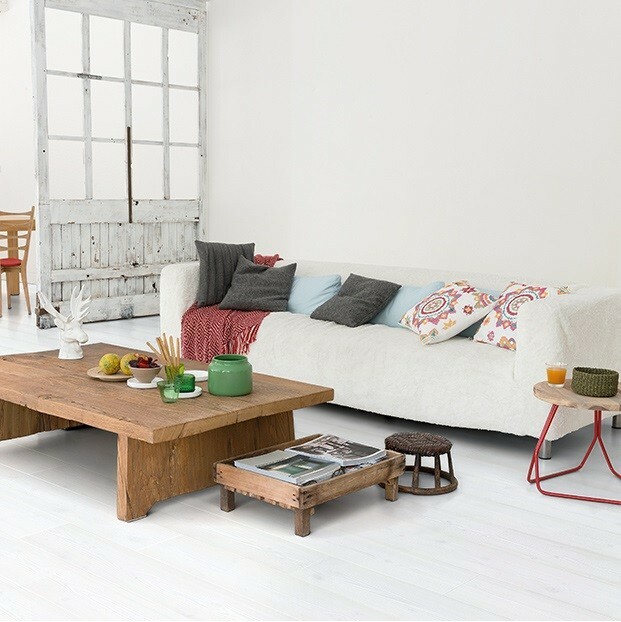 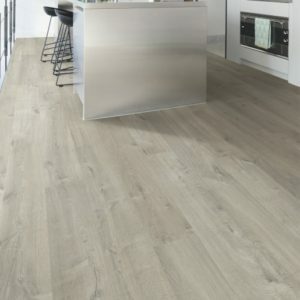 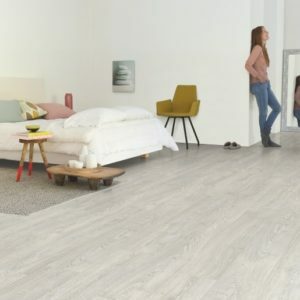 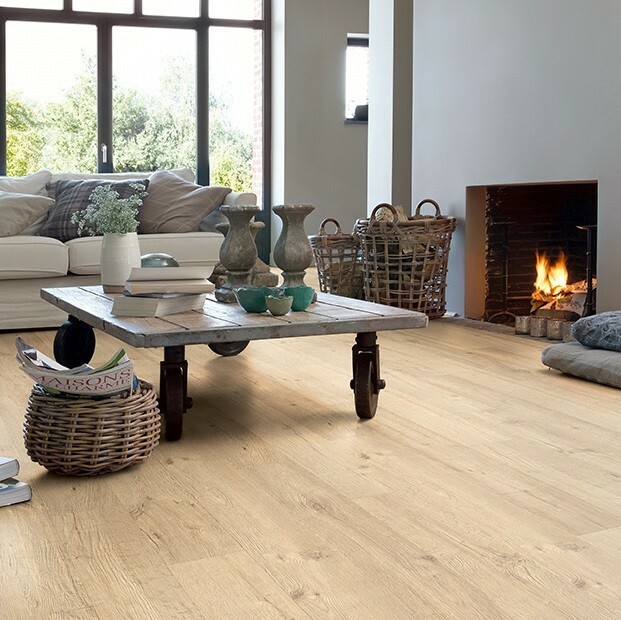 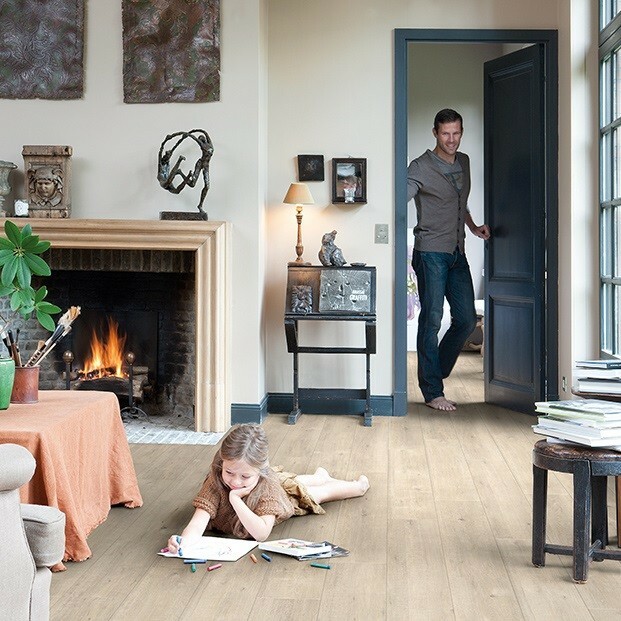 With the Quick-Step Impressive collection, you can transform any room in your home into a stylish and welcoming space. 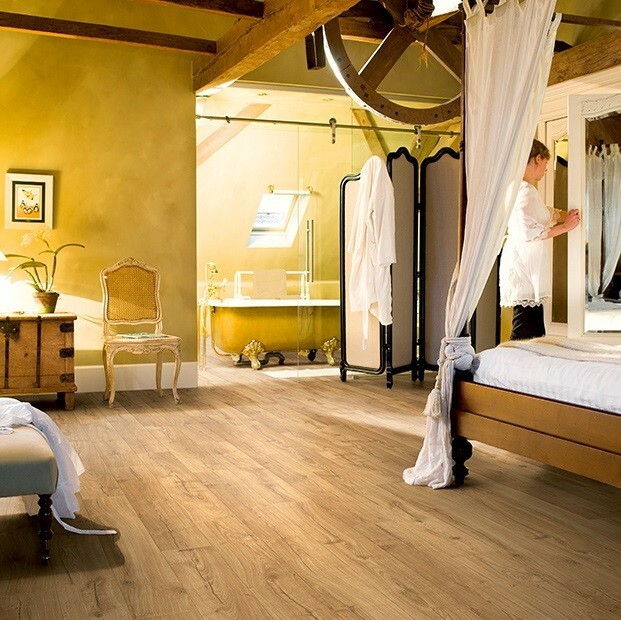 These laminate floors feature the innovative ‘Hydro-Seal’ coating which effectively makes them water resistant. 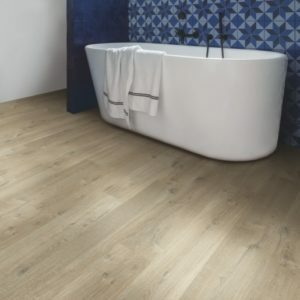 Ideal for bathroom and kitchens, the laminate floors from this range also suit areas with heavier foot traffic, like entrance hallways. 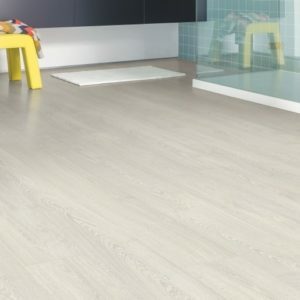 The surface is hard-wearing and easy to clean, bringing peace of mind that your laminate floor will look like new for a long time. 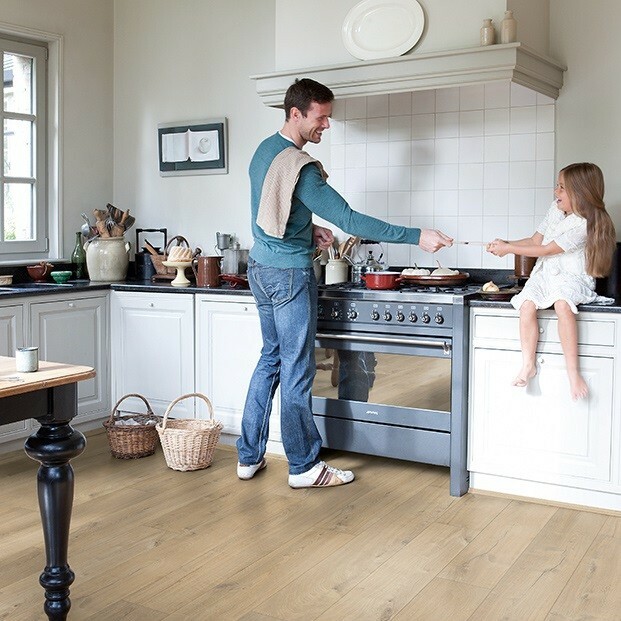 Unlike solid wood and engineered wood flooring, the Impressive laminate floors will never require re-sanding or re-finishing. 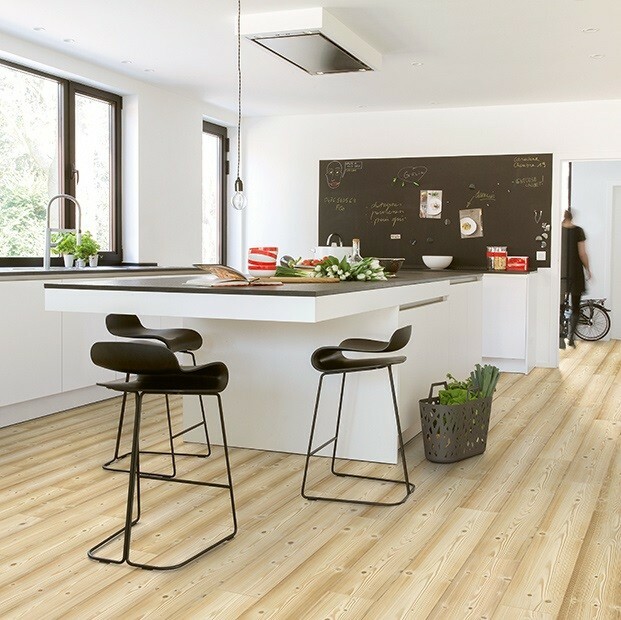 The planks measure 8mm x 190mm x 1380mm and they’re a joy to install with the practical Click system. 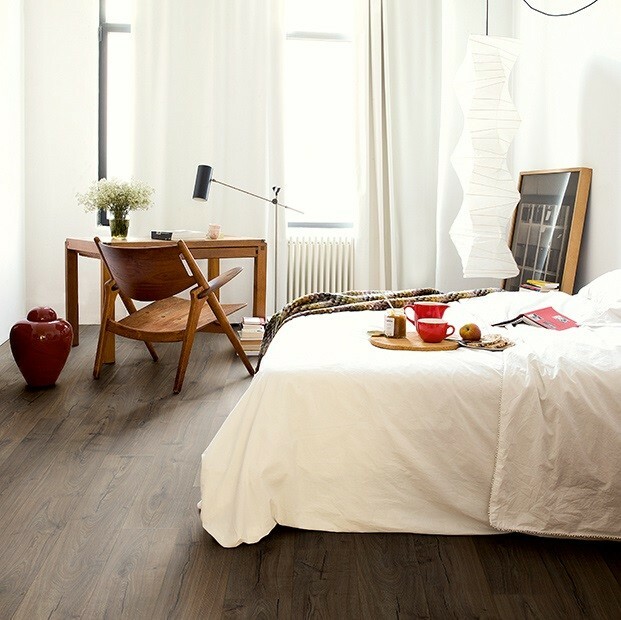 Finding the right floor for your décor is easy thanks to a wide selection of designs. 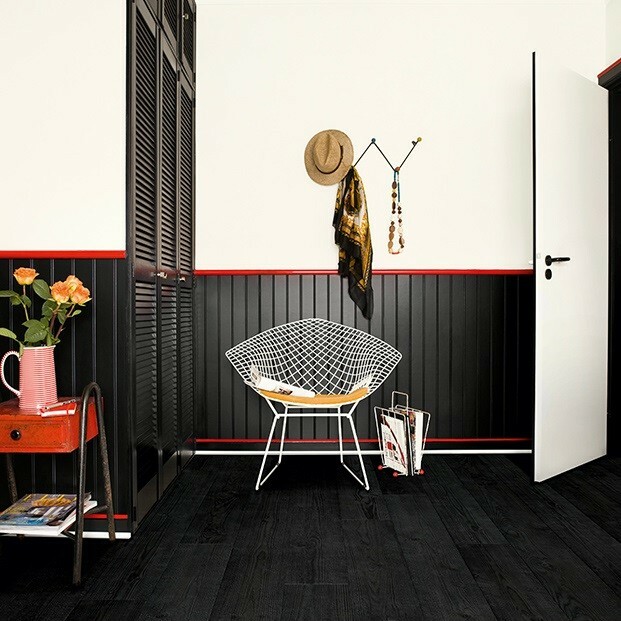 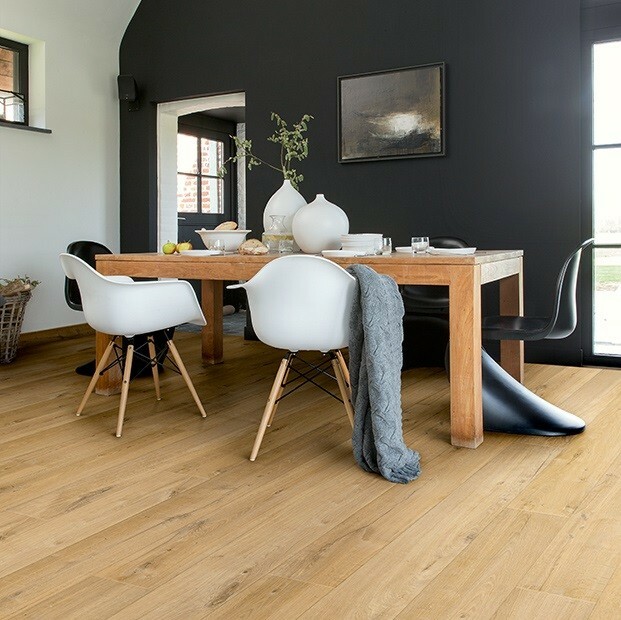 These wood-effect laminate floors feature colours that range from black to neutral grey and light brown. 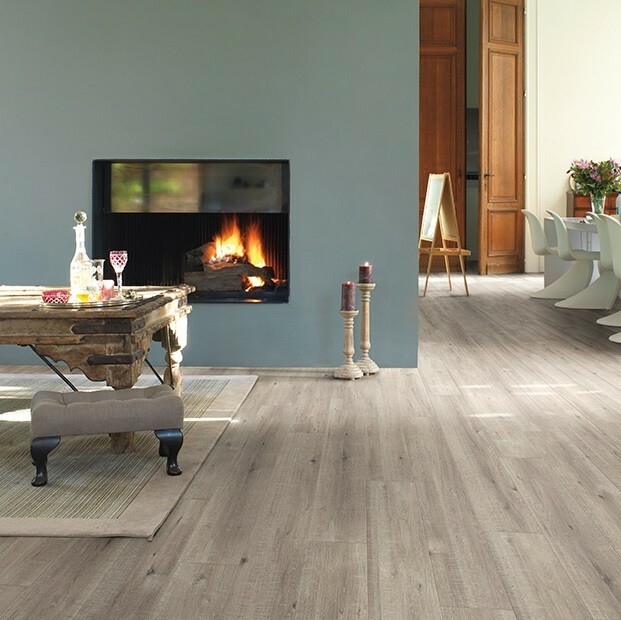 Likewise, textures and styles vary from rustic to modern, with plenty of other options in between. 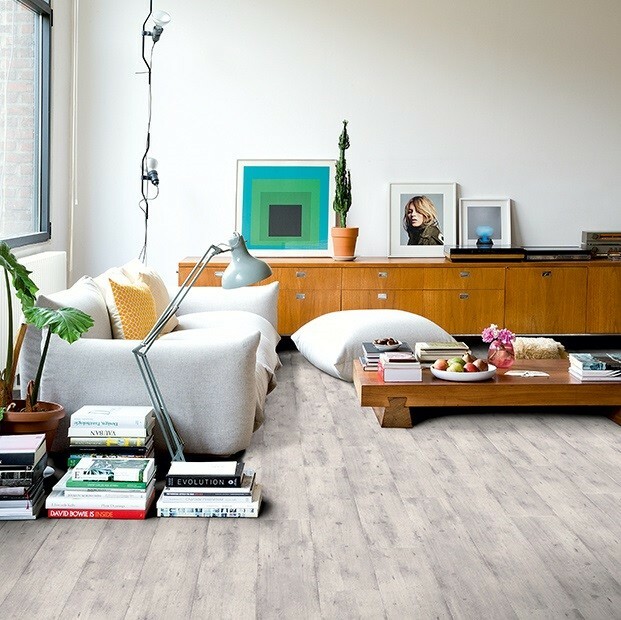 Backed by a 25-year domestic warranty, the Impressive laminate floors provide an elegant and durable flooring solution for your home.